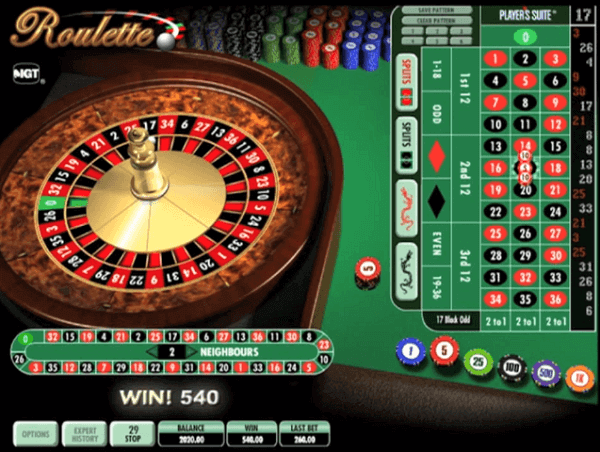 The roulette wheel is usually considered the battlefield of the roulette game. it is where all the action takes place beside the pits. It is like the court where your verdict is determined without any possibility for you to make an appeal. It is the fixated point where every player at the table usually has his/her eyes full of expectation. A very small dissimilarity; a number to the right or left; these factors can make or ruin you. It is ridiculous to refer to yourself as a qualified roulette player if you don’t have the full understanding of how the roulette wheel works. The roulette wheel is the roulette game. The roulette game has the roulette cylinder, which was make known to people in the 17th century in the most primitive form by a French physicist, Blaise Pascal in his quest to invent a machine that would continuously move. A century later, people used this machine to play the roulette game. For a novice player, there might be very minimal or no difference at all to the different kinds of roulette wheels but on looking keenly, the difference becomes evident. One thing that you need to know about how roulette works is that there is the American and the European wheel. These two wheels have major similarities with the only difference occurring in the number of zeros. The American wheel will have two zeros while the European roulette has a single zero. The double zeros give the house a bigger edge on the player and consequently not favorable for any player to play it. In the American roulette wheel, there is a total of 38 slots ranging from 0 to 36, plus an extra 00. Out of the 38 slots, pockets as they may be referred to in some instances, 18 are black while the other 18 are red. The two 0 and 00 slots are green in color. Talking about the slots, they are consecutively arranged adjacent to the cylinder, with no adjacent number of slots having the same color. The counterclockwise arrangement of the numbers is as follows: 0, 2, 14, 35, 23, 4, 16, 33, 21, 6, 18, 31, 19, 8, 12, 29, 25, 10, 27, 00, 1, 13, 36, 24, 3, 15, 34, 22, 5, 17, 32, 20, 7, 11, 30, 26, 9 and 28. The French Roulette also known as the European Roulette wheel will have one zero. This makes it a preferred choice for players who wish to make small bets with lower risks. With the single zero, the house edge is significantly decreased, and you will be winning more, or at least you shall be mitigating your losses. 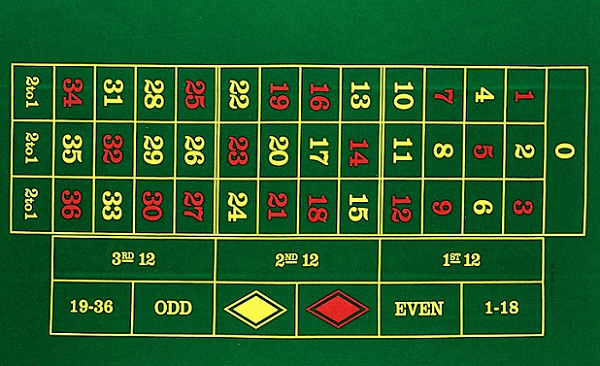 Just like the American Roulette, the 0 in the European Roulette is green with the remaining numbers split into half: 18 red slots and 18 black slots. The clockwise arrangement of the European Roulette is as follows: 26, 3, 35, 12, 28, 7, 29, 18, 22, 9, 31, 14, 20, 1, 33, 16, 24, 5, 10, 23, 8, 30, 11, 36, 13, 27, 6, 34, 17, 25, 2, 21, 4, 19, 15 and 32. There are particular bets that are only placed on the European Roulette wheel. These bets will be placed by the croupier once you have placed your wager. The numbers covered under this bet include 9, 31, 14, 20, 1, 6, 34 and 17. Bet placed: 5 chips with a chip on 1 and the remaining on splits of 31-34, 17-20, and 14-17. The numbers found under this bet include 25, 2, 21, 4, 19, 15, 32, 0, 26, 3, 35, 12, 28, 7, 29, 18 and 22. Bets placed: 9 chips with 2 chips placed on the 0-2-3 slots and a chip on each of the following splits 32-352, 4-7, 19-22, 18-21, 12-15 and another chip on the 25-26-28-29 corner. The numbers covered under this bet include 27, 13, 36, 11, 30, 8, 23, 10, 5, 24, 16 and 33. Bets placed: 6 chips with a chip placed on the splits 33-36, 27-30, 23-24, 13-16, 5-8 and 10-11. In both the European and American how the numbers are arranged totally differs from their arithmetical value. This is one of the key reason why the answer to how does roulette work remains to be an exciting game and remains to be one of the balanced game in theory. Confuse you. For a novice player, it is very difficult for him/her to make a photographic memory of the roulette wheel and comprehend how the pockets and numbers are related. As a result, it is very difficult for such a player to figure out any bias on the wheel or what bet to place exactly. The even and odd numbers should be equally distributed along the wheels ensuring that there are no more than two odd or even numbers adjacent to each other. The black and red colors are supposed to alternate throughout the roulette wheel. Any two successive numbers should have differing colors. This is one condition, which has to be met by both the American and European roulette wheels. The high numbers (19-36) and low numbers (1-18) should alternate as much as possible. If you look at the European roulette where, this condition is only met in the case, where there is a 5 close to 10. The American roulette wheel has several slots, which have high and low adjacent numbers. Consequently, this option makes the American roulette have a higher house edge and make most people, especially the professionals to avoid it.